The Mersey Beatles are delighted to be returning to the Lytham Festival on Tuesday 17th July. 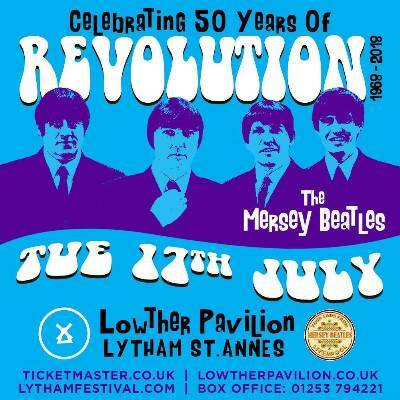 Last years show was totally sold out and the band will be performing their new ‘1968 - 50 years of Revolution ‘ show at Lytham this year plus a set of early hits. Please click on the link below for ticket details. 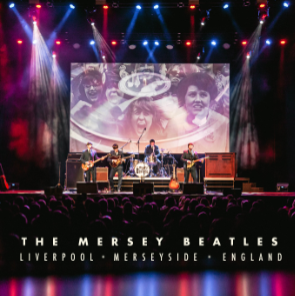 In September, The Mersey Beatles will once again travel over to Germany for the annual festival in Dellbrück near Cologne which will be the eighth time the band have performed there. It is a fantastic FREE festival with lots of live music and entertainment for all ages. The band will perform TWO outdoor shows on 22nd and 23rd September. 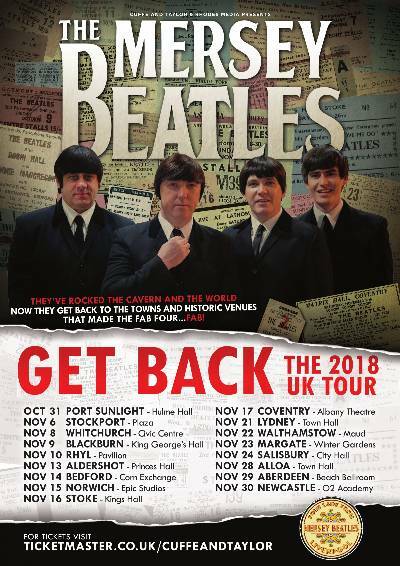 In October, the band bring their 1968 plus hits show across the big pond for another tour in the US, this time starting with a number of soon to be announced shows in Florida followed by shows in the Midwest including Memphis, Cincinnatti and a fabulous new venue in Fort Wayne called the Clyde Theatre. This show includes a very special support act (tba).